The weekend of 10-10-10 brought extremely good weather in the Netherlands, and the coincidence was that we had planned to spend the weekend with friends on the lakes called De Kaag, between Amsterdam and The Hague. We haven't seen a single cloud this weekend. So we sailed, and drank wine the night long. But what to drink two long nights (besides beer)? My hobbyhorse that I ride at many tastings is that light red wines are underrated, yet can be the best company throughout a long evening. A heavy wine might impress, but can be tiresome after one glass. Many wines are simply too heavy, too sweet, or are wearing too much make-up to be pleasant for a full evening. So I brought one of my favourite reds, the Orléans rouge made from the Champagne grapes pinot meunier (80%) and pinot noir. I was curious to see how the wine would be picked up. First a functional sidestep. October started with two facts worth mentioning. The first: my wines were very well reviewed in the new Dutch Wijnalmanak. Especially the wines from Clos Saint Fiacre (3 stars for the mentioned Orléans rouge) and Delecheneau (2 stars for the gamay and 1 for their rosé). 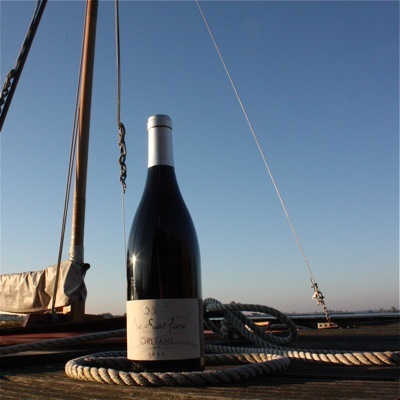 Three stars is quite exceptional, and it was indeed this refreshing red that I brought to the sailing weekend. Fact 2: my webshop, Bolomey Wijnimport, won the 2nd place in the election Best Dutch Wine Web Shop 2011. Amongst other things, one of the reasons to win silver was the quality of the wine selection. For the complete picture, about 250 shops had participated in this election. Of course I expected massive sales right after this election, but nothing special happened. It obviously takes more than an election to steer people into the direction of great wines. Hopefully a tasting works. When you're interested to discover the Bolomey Wijnimport wines, come to the tasting in Amsterdam on Sunday 31 October. The majority of the wines that I import can then be tasted. And both Hubert Piel from Clos Saint Fiacre (the Orléans again!) and Coralie Delecheneau (Amboise) will be present themselves. Back to the Orléans. The first proof of its drinkability was given during the presentation of de mentioned Wijnalmanak. Some 10 wines were open to be drunk that night, and the first wine that appeared to be finished was the Orléans. Did I get a second proof of its drinkability at De Kaag? Yes I did, we had a great time. Got thirsty perhaps? 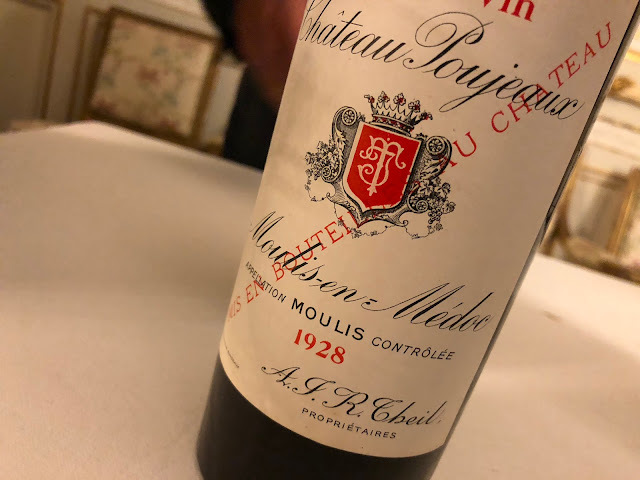 This is the wine I am talking about.